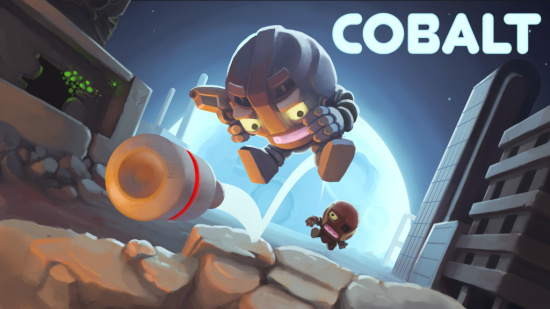 Oxeye Game Studio » Blog Archive » COBALT Launches February 2! Is there any possibility that it will be released somewhere besides Steam, like gog.com? I think it’s pretty much confirmed to never be releasing on gog.com or so, only Steam. i don’t have Mojang account. i Know only my login, password and email from Cobalt beta. lol i restored my Minecraft account(not Mojang) with random email. Just logged on Minecraft site and Migrate with new mail(created Mojang account). And im have Cobalt account. Just logged on Mojang site and reset defence questions via email. That is some epic art right there! days until the release of cobalt! Capture the Plug is not a game mode anymore? Please add it back! Also a 3 bot limit? I think it used to be 9 or 10. Add that back please. Can’t use keyboard for character input when making a profile? That’s kinda weird but livable. I feel like the GUI has gotten less simple then it used to be. Capture the plug is now called “Plug Slam”. @megamech @jstewman Capture the Plug is not an official arcade gamemode and has been replaced by Plug Slam, however they are not the same thing and Capture the Plug is still supported for user maps! You can download Capture the Plug from the workshop. Soon in the future you’ll be able to play User maps online! So.. I paid for this game early release. After a quick look on the cobalt page and here, I`m not seeing any way to log in and update the game. Am I seriously going to have to buy the game a second time? Ignore that previous, I missed the link that shows how to get my steam code. Derp. COBALT it’s a great game! Do not relax, Jens!